Yugoslavs who fought as volunteers in the Spanish Civil War on the Republican side are called "Spanish fighters" or "Yugoslav Spaniards". 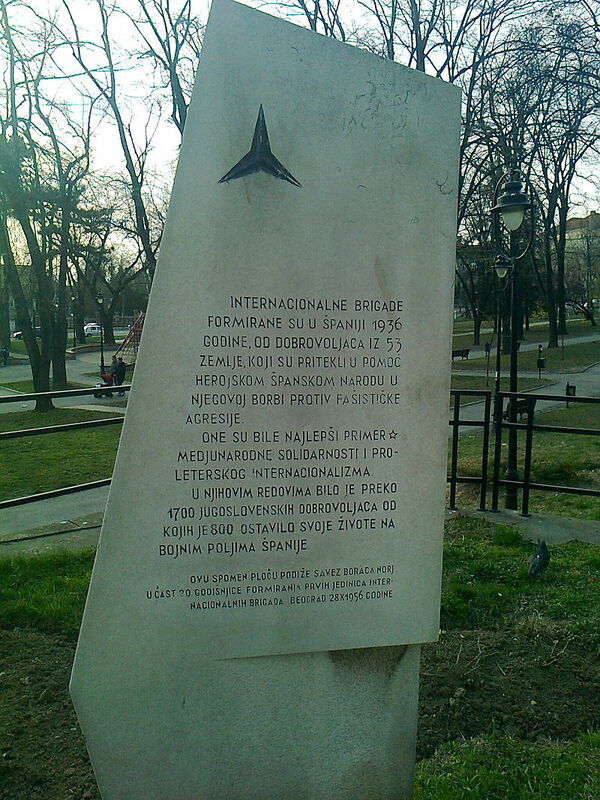 Belgrade Association of Spanish troops is in possession of information that there were 1.755 volunteers from Yugoslavia in international brigades and other units of the Spanish Republican Army, of which 595 were killed in Spain and 116 were killed later in the National Liberation Struggle. Battalion Duro Dakovic in Spain. National identity was not important, but the available data suggest that the majority of the Yugoslav fighters wereCroats (48 %), followed by Slovenians (23%), Serbs (18%), Montenegrins (3.2%) and Macedonians (1.5%) .German and Jewish names were also on the list of fighters. The same incomplete data says that the according to political affiliation there were communists (561), social democrats (10 %), members of the Croatian Peasant Party (8 %), anarchists (4 %) and almost a third of the total number (457) were undecided. They fought in Karobanji, at Brunete, Zaragoza, Aragon, Teruel, Marbella, San Mateo, on the barricades of Madrid and many other fronts. 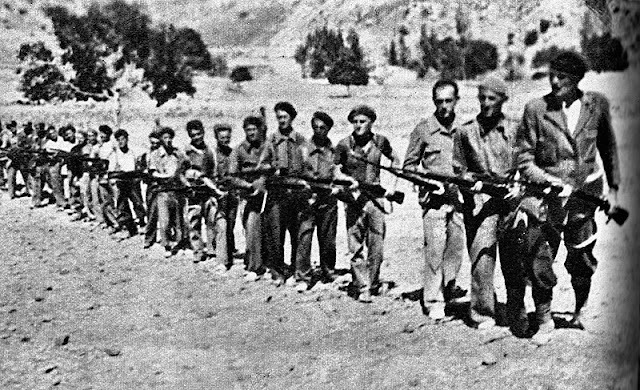 Fighting in Spain led to the time of Stalin's "purges" which included the top Communist Party of Yugoslavia, which caused discontent among the Yugoslav volunteers in Spain. 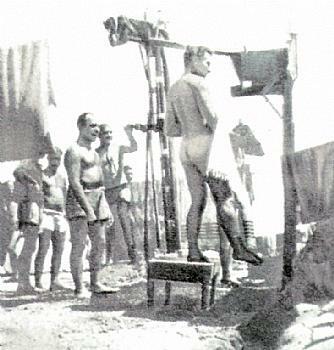 After the Spanish Civil War, in the East, in the Soviet Union, many Spanish soldiers were executed in the purges; in the West, they were suspected of communist subversion. In the Second World War, the Spanish fighters were holding the most prominent military positions in the NLA. In particular,KocaPopovic and Peko Dapcevic were commanders of the elite First and the Second proletarian divisions. 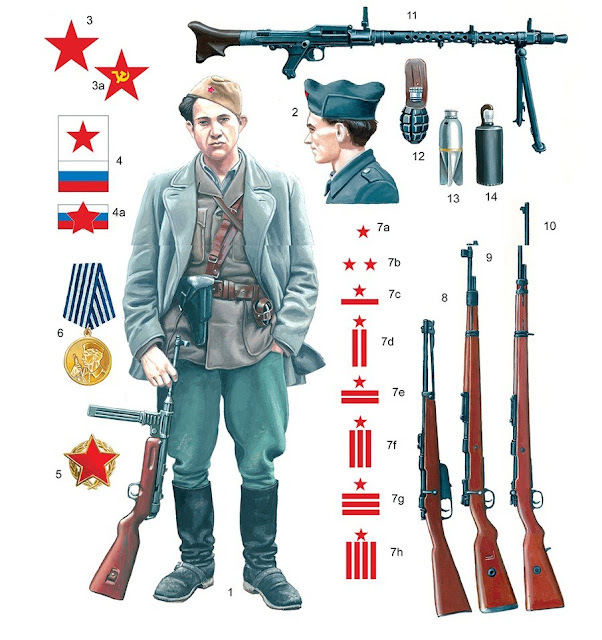 In 1945, all four commanders of the new Yugoslav Army were Spanish soldiers. 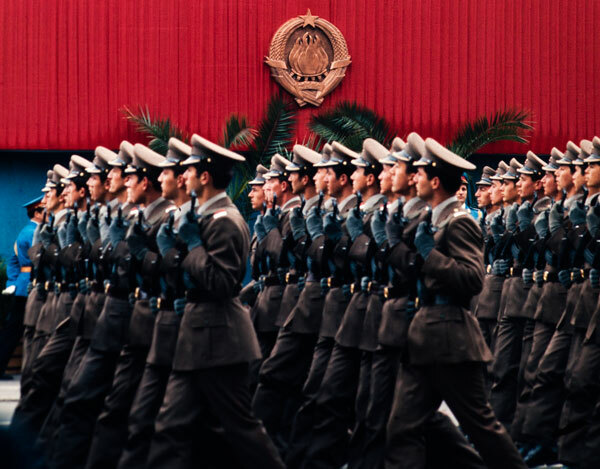 60 Spanish soldiers were declared national heroes of Yugoslavia. Monument to the International Brigades in Belgrade. 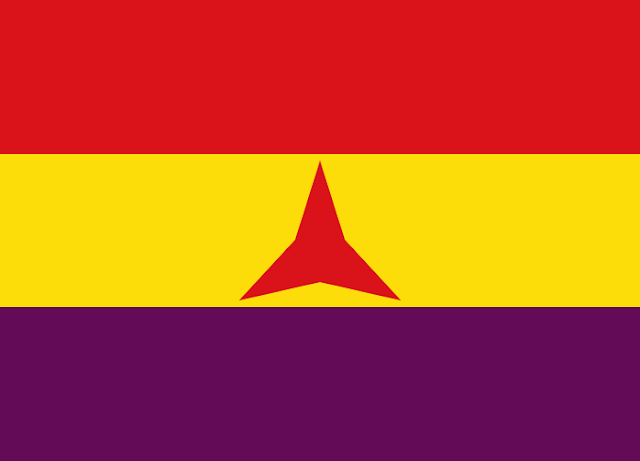 The KPY (Communist Party of Yugoslavia) was the main and could be said the only organizer in the Kingdom of Yugoslavia when it comes to helping theRepublican Spain in the fight against rebels and fascism. The anti-fascist volunteers were leaving for Spain only illegally, and those intentions were very often thwarted. For the purpose of carrying out one such action of transporting volunteers, a ship called "Corsica" has been rented in Marseille in the greatest secrecy. In February 1937, a ship “La Corse” commanded by Adolf Muk and Anton Franovićsailed off from Corsica to gather volunteers from Yugoslavia. Only the CPY Politburo knew about this. However, the Belgrade police found it all out. "The struggle of the heroic Spanish nation is not only a struggle which will result in victory or defeat of democracy only in Spain, but this is the beginning of the armed conflict, fascism, and democracy around the world. On March 1, 1937, the Dalmatian volunteers were supposed to sail by boat from the Split area. The voyage was first postponed because of bad weather, and then they were discovered by gendarmes and arrested. According to the police report, 145 Spanish volunteers were arrested on the Brač Island on April 8. 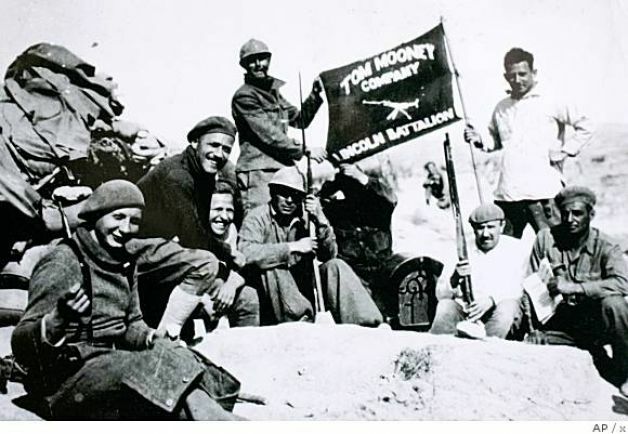 The foreign brigadistas experienced their first combat christening in November 1936 while defending Madrid. The 11th Brigade, assigned to this front, also consisted of the Hungarian and Yugoslav fighters. Photo of the camp for the Spanish volunteers in France. Some belief that under the shower Tito. In mid-1937, or 1938, at the peak of the Spanish Civil War, the Stalin's Great Purge of the Communist Party of Yugoslavia was carried out. Together with the military assistance, he sent to Spain, Stalin was also sending personnel of his secret NKVD police, thereby controlling the international brigades. Soviet agents were very actively engaged in Barcelona in 1937. A special role was played by liquidators, who were responsible for the elimination of political opponents. Many volunteers lost their lives in these purges. 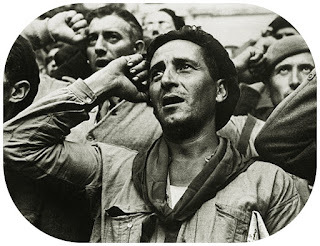 In late 1938, the Government of the Spanish Republic issued a decision on the dissolution of International Brigades, after the agreement was made with Germany and Italy that they will not send their troops. However, Germany continued sending assistance to General Franco, and the Republicans were rapidly defeated. 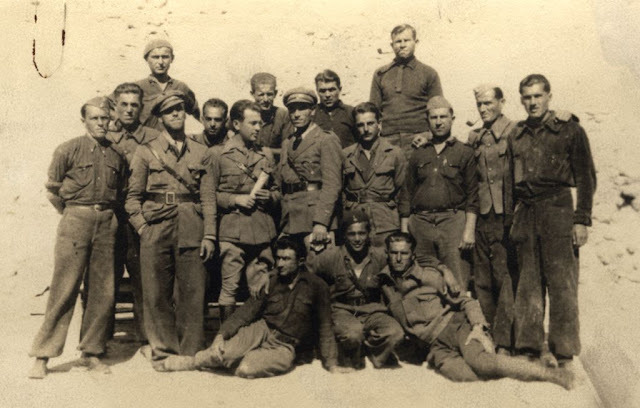 After the dissolution of International Brigades, many Yugoslavs migrated to France, where they were detained in the camps, mainly in the camp Girs. They were detained in French camps from late 1938 until the German attack on France in May 1940. 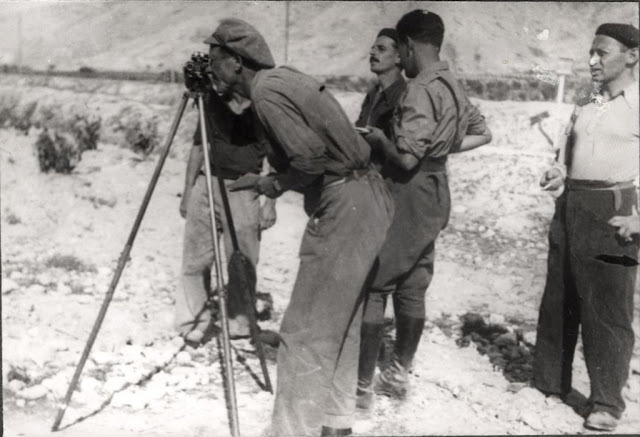 Yugoslav government consistently refused to grant licenses for the return of Spanish volunteers. "On the issue of the return of these our volunteers, who were mostly communists, by the Ministry of Internal Affairs solved is that each of them must in our embassy in Paris,write a statement that he regretted he went to the volunteers and to waive any communist actions Upon returning to the country. " - The attitude of the General Staff of the Yugoslav Army, 20 XI. In 1939. When France capitulated on June 22, 1940, there was a great danger that the former Spanish soldiers might be killed by the Nazi troops or brought to camps in Germany. 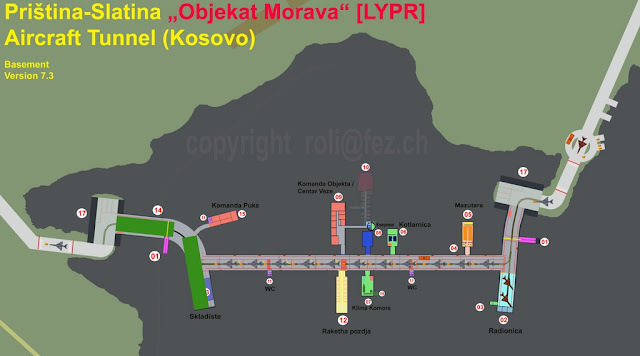 Committee in the camp immediately made a decision on the rapid organization of checkpoints for returning the internees to Yugoslavia. 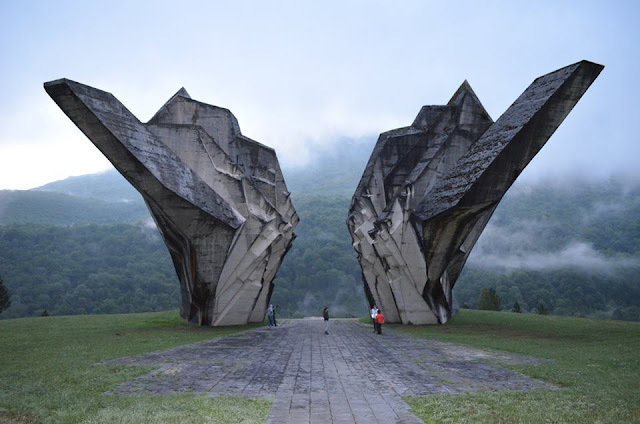 Some managed to escape to Yugoslavia through Germany, and some were imprisoned in concentration camps. Of 250 Yugoslav volunteers who managed to illegally transfer from France to Yugoslavia, 130 were killed in battles during the National Liberation War (1941-1945). 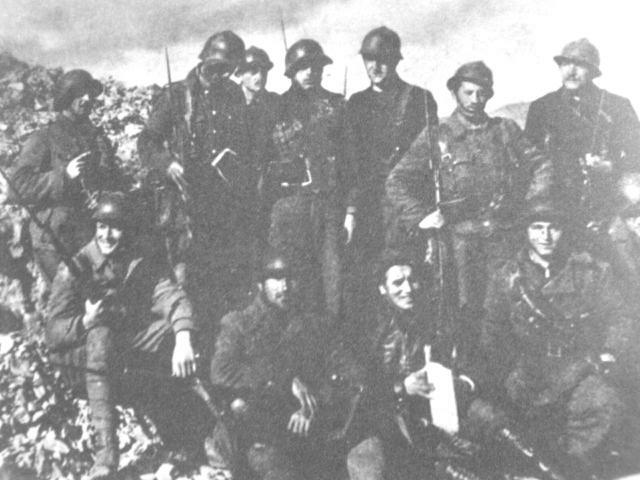 During the final operations for the liberation of the country, all four Yugoslav armies were led by the Spanish fighters (KocaPopovic, Peko Dapcevic, KostaNadj, PeterDrapšin). For the people and soldiers, the "Spaniards" represented an exalted notion of personal courage and devotion to the fight against fascism. · Institut za strategijska istrazivanja, MinistarstvoodbraneSrbije, Vojno .istorijskiclanaka, br. 1-2, 2007. · RadoviZavodazapovijesneznanosti HAZU u Zadru, br.54, 2012.